GECOGYSPI18KEY(18 Key 90-265V SPI Digital LED Controller ) is suitable for UCS1903 (WS2811,TM1809,TM1804 etc) output applications which drive LED directly. 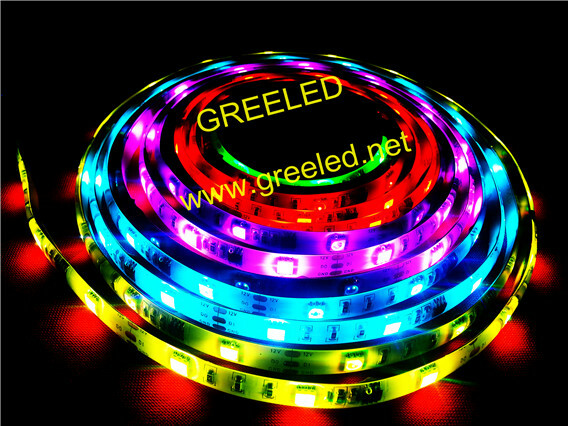 It is widely used in advertising, stage sets, home decorations, etc. 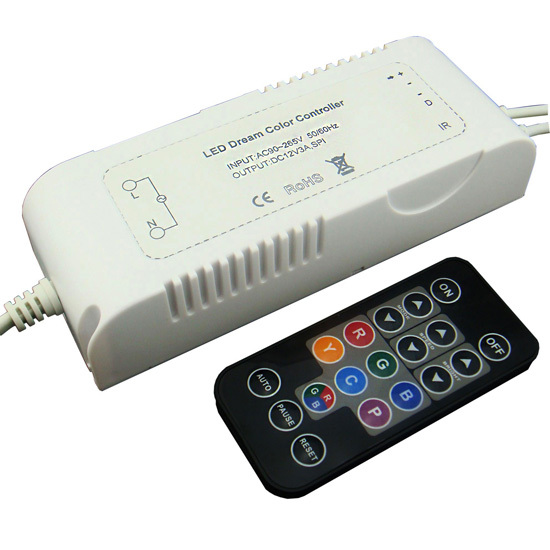 It has many advantages such as low price, easy connection and simplicity to use, especially integrated power supply (power supplier and LED controller 2 in one). It has memory function. 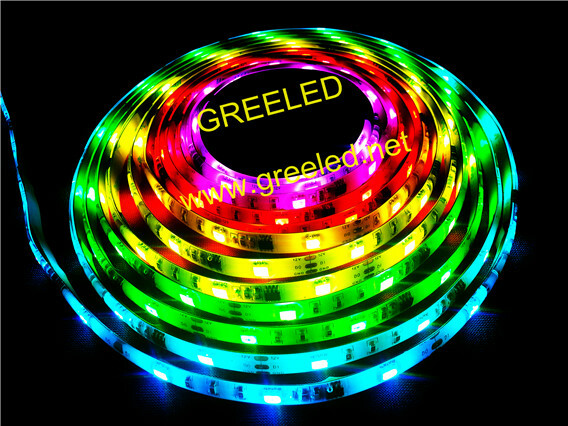 And adopt IR remote control, could adjust brightness, static color choices and various dynamic changes in lighting effects. There are 143 modes in total. Controlled IC Model:Such as the WS2811,TM1803, TM1804, TM1809 , TM1812, UCS1903 etc. 5.143 modes totally,includes horse racing,running water,tailing,brush color,scanning,raindrops,etc. 6.When adjusting speed, press the button and hold, rapid bursts of adjustment.